The Timber shade is expertly turned from a single piece of wood. For this collection, three high-quality varieties of wood are used: ash, oak and walnut. A subtle black or white paint is applied to the ash wood version, leaving the elegant wood lines visible. The cables come with a matching casing of mottled white or black linen. The pendant light is assembled in the workshop of a social enterprise in The Hague by individuals who fall outside the labour market. Timber is available in three different sizes (S, M and L) which give a pleasant effect when hung together in a cluster. But they also work deftly when aligned in a row, above a bar or dining table. 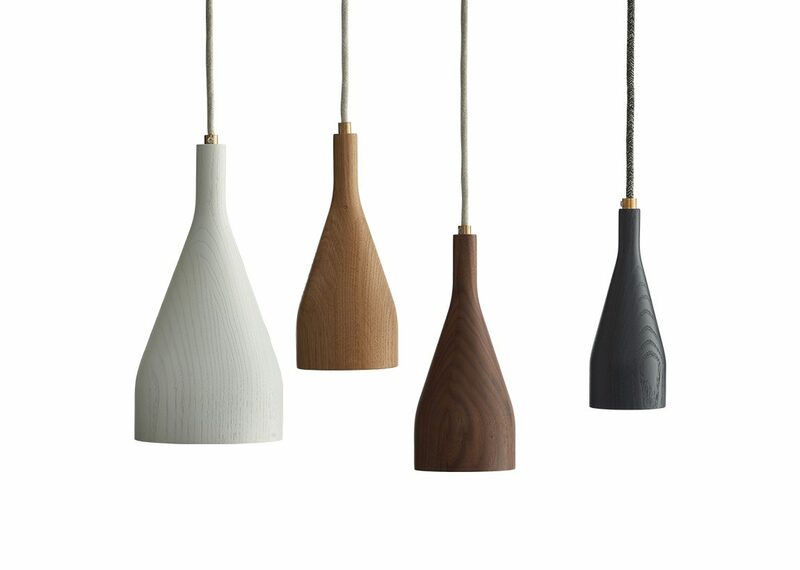 Thanks to the simple and recognisable bottle shape, the natural look and the purposeful light, the Timber collection meets many needs in both private and project-based interiors.